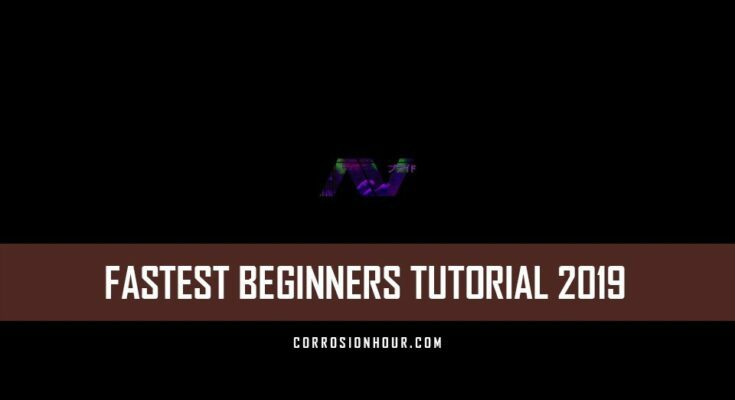 Cruxal has released the fastest beginners RUST tutorial for 2019. It’s a no BS, to-the-point beginners RUST tutorial. This RUST tutorial has no fluff and is intended for new RUST players looking to quickly bootstrap themselves and get into the action. In this video I’ll teach you the basics of RUST. I wanted it to be 10 minutes or less, but realized this was almost impossible, so I’ve done it in about 12. Just a heads up, I’m not here to baby sit you and hold your hand. I’m going to assume you know the basics of shooters like control to crouch, right click to aim, left click to shoot, etc etc. In this server list you have three categories, Official, Community and Modded. I recommend going onto a death match or aim train server like Operation War Games (https://www.owgrust.com) in the modded list, to get a feeling of the game, weapons, movement, key binds, etc. Once you feel comfortable with the bow and know how some of the other guns work, head back to the server list. I like how the game was meant to be played originally, which is also known as vanilla. Some players with less time on their hands though like playing on slightly modded servers that have increased gather rates, such as 2x or 3x for example. Once you’ve chosen your server it’s time to get started. You spawn on the beach with a rock which is your early game gathering tool and it can be used to attack other players. You also spawn with a torch which helps seeing in dark areas and at night. You can always check the map by pressing G. This will tell you where you currently are on the map. There are multiple spawning areas on a single map. Most beaches can be spawned at. You can always press F1 and type kill and press enter to kill your character and re-spawn somewhere else. You’ll want to decide where you want to head to start gathering. You’ll also want to look at your map to decide where you want to build. Certain areas and biomes have more or less kinds of resources. They’re also monuments on the map. These special buildings and areas hold barrels and crates that have components. Components are key ingredients for crafting in the game but you don’t need them to build your base early on. Monuments are split into tiers. One, two and three. One being considered the least rewarding and also the least dangerous. Up to three being the most rewarding but the most dangerous. Like the launch site which is guarded by the Bradley NPC and the military tunnels which is guarded by multiple well geared scientist. So the lower tier monuments are the harbor, light house, gas station, and supermarket. They may be useful to live near them as they hold crates with valuable items such as better gathering tools and even firearms like revolvers and semi-automatic rifles. Just beware, many other players roam these monuments in search of components and items. With all that being said lets get going and build our first base. While gathering and learning about the essential resources of RUST. Gather wood by hitting trees with your rock, hatchets, ax or chainsaw. Gather stone, sulfur, or metal nodes with your rock, pickaxes or jackhammer. While on the hunt for wood and stone, you will encounter other resources on the way, such as cloth or animals. Cloth is essential early game as it is used to craft your first weapon, the bow. After crafting some arrows you can use your bow to hunt down animals to gather more cloth, leather, raw meat, and animal fat. Animal fat can be turned into low grade fuel and low grade fuel is needed to craft your first furnace. Now that you’ve gathered enough wood, stone and other resources you are ready to build a base. You’re probably also craving to get all that loot to a safe spot, but before we get into actually building your first base, here’s a few quick tips that will help you survive in the harsh world of RUST. Pressing tab brings up the quick craft menu, which are items that are currently craft-able with materials you have available in your inventory. This is isn’t always show the items that you want though, you can search for items by pressing Q. You can also check which items you’ve learned with this menu. When you get a bit of cloth, craft bags and lay them in areas that you’d like to re-spawn at. Sometimes you’ll find a good farming spot and in case you die before getting your base down it can be wise to set down a bag or two to re-spawn at your new favorite spot. Once you’ve hunted a few animals, you might have noticed you got food from them. Food is a good way to restore health. If you don’t eat or drink you’ll eventually starve, dehydrate, and die. You can also find pumpkins and corn near rivers. Make sure to drink while you’re at a river. Lastly, you can harvest cacti in the desert, or harvest mushrooms from the forest. You cannot drink from the ocean, it’s saltwater. Again, once you’ve harvested an animal or two, it may be wise to craft yourself a bone knife. The gather rather is higher and does not waste any previous resources by gathering them with a stone hatchet. If you’ve got some extra cloth or leather, you can make some clothes that’ll keep you warm and will protect you from radiation that a lot of monuments have. Got some rope and wood? Craft wooden armor. It offers extra protection against projectiles, animals and radiation. Scraps are one of the most important resources in RUST. It may seem like they’re useless very early in RUST, but you’ll quickly find out how important they are. Keep what you can, but concentrate on getting that base down. You can always find a recycle r and recycle all the components you’ve found. This will recycle everything into scraps, metal fragments, and high quality metal. Now lets jump into building that base. This is going to be a very very inexpensive and easy to build base. If you’d like something more secure or would like to know more about building, there are hundreds of tutorials out there. There’s also creative servers you can hop on and practice building, so feel free to do so. If making this base out of wood only, you’ll need around 5000 wood. To make this base out of stone, you’ll need about 3000 wood and 4000 stone total. The building plan is used to make the blueprint of the base. It’s always made of twig. You’ll want to upgrade this immediately as twig can be destroyed in a few mere hits. Select the building plan and hold right click to select the appropriate building part and click on it. Left click to build. Next we’ll use the hammer to upgrade. Select the hammer and get close to a building part you’d like to upgrade. It’ll light up blue. Hold right click and another wheel similar to the building plan will pop up asking you which material you’d like to upgrade with. Here we’re going to upgrade with stone. Left click it and it’ll upgrade that part. If you run out of stone, don’t worry. Upgrade the rest to wood for now. From worst to best, you have twig, wood, stone, metal, and high quality metal. Select the wooden door and place it so the doorknob is on the right, like this. When it opens, it will block the second doorway, which will stop any door camping players from coming in, if you’re caught or killed with the door open. Then place a key lock and hold D on it to lock it. Anyone can come to your lock and claim it if it’s unlocked. If you’re playing with teammate, you’ll need to open and close the door until you get a code lock, which needs metal to be crafted. The tool cupboard is something simple, yet quite special. Placing a tool cupboard puts a large 8 foundation radius around it. Any player that’s not authorized on this cupboard cannot build near it. This keeps other players from building around your base. So having a cupboard is a necessity. Once you’ve placed it, press E on it to authorize. Then press E again to access your cupboard. The tool cupboard has something called upkeep. Essentially your base needs resources to stop from decaying. Your cupboard will tell you how many resources are needed to keep your base up for the next 24 hrs. The bigger the base, the more resources it will need. If it runs out of resources, your base will start decaying on its own. Within hours, walls of your base will start crumbling. Do not ever let players near your cupboard. If any other players get access to it, you can say farewell to your base and loot as well. There’s so much more to cover, but lets keep it basic for the sake of this video. You can place a furnace down in your home and place wood in it to took your metal and sulfur ore.
Don’t forget to place another bag and a small box. Lastly, we’ll quickly go over scraps. Scraps are mainly used for two things. There’s a couple other uses, but we’ll save that for maybe another video. The first we’ll talk about are work benches. Work benches are used to craft items of higher tier. Some require work tier 1, while other items like an assault rifle or rocket launcher require tier 3. Gather up some scraps and metal to craft yourself a work bench. Some items are locked and cannot be crafted immediately. They must be learned. For example, a metal hatchet. You found a metal hatchet, but if you lose it, you can’t craft another one. This is where the research table comes in. Most items you find in RUST can be learned, in exchange for scraps. So if you found something locked in the crafting menu, make sure you craft yourself a research table and learn those items. Alright, that’s it, I hope that wasn’t too hard to follow. If this video helped you, make sure to leave a like and subscribe to be notified when I release more videos. Let me know in the comments if you’d like more tutorial videos like this. And hey, I also stream on twitch full time and you’d like to come hang out, my link is in the description below. See you in the next one, peace.